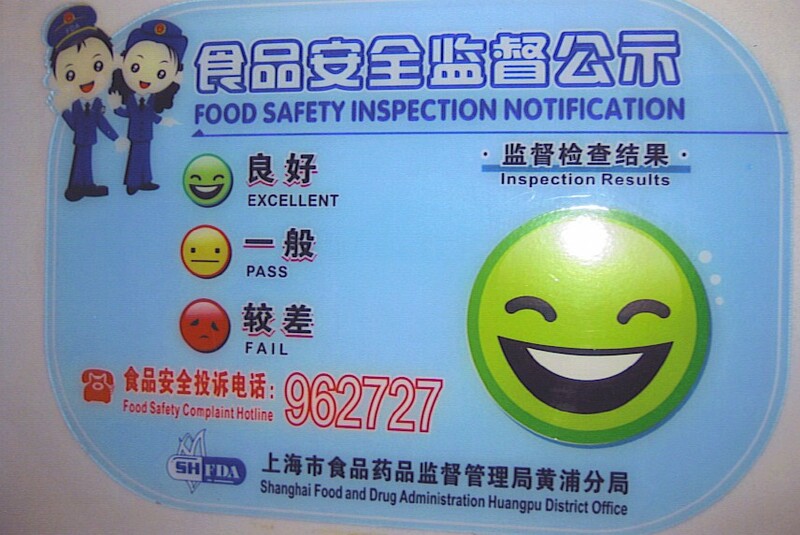 This entry was posted in Dining and tagged food-related health risks. Bookmark the permalink. We passed on eating at many open air buffets in Taiwan, where meat would sit out in the heat without covers. A small mobile with ribbons would slowly fan over the display to keep away the flies – which still landed on the food anyway. Not too appealing. Someone needs to develop a battery-operated version of that fly fan you described — it would be ideal for family picnics. Maybe it could be mounted on a hat, to keep winged critters from joining the sandwich bite as it goes into the mouth? I am not proud of this but, I grew up in a home where NOTHING went to waste. Foods that were so old they couldn’t even remember their own expiration date were served without hesitation. Disgusting? Maybe, but the result is, I have built up a tolerance to bacteria tainted food. Case in point: Years ago I, along with many other folks, got salmonella from a popular restaurant in Chicago. It was all over the news. People where going to the hospital, churches were having prayer vigils, & EMTs were working overtime. And I knew I had it because anything I ate for about ten days went through me like a freight train. I couldn’t believe how quickly food could make that journey from top to bottom. (It reminded me to chew better.) BUT, I didn’t really suffer any serious symptoms. For me, it was basically a great diet. So maybe the answer is to build up your tolerance to the bad stuff. I’ve done it with politicians and it has worked out so far. You may be on to something with your theory about building up one’s tolerance to “bad stuff”. I’ve heard anecodotal evidence about missionaries and others who have been living for long periods in places with poor hygiene adapting to the diet there. It is when they return home, and resume eating their old favorites, that they get sick. Just for precautionary reasons, though, I intend to continue avoiding glow-in-the-dark food.